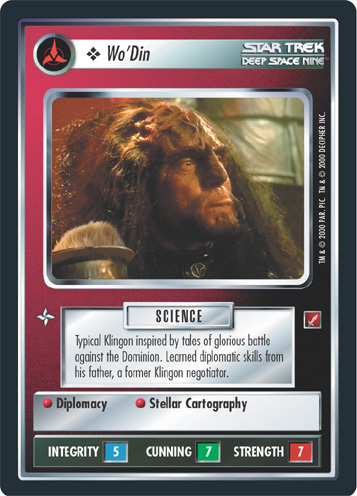 Typical Klingon inspired by tales of glorious battle against the Dominion. Learned diplomatic skills from his father, a former Klingon negotiator. Image Source: Deep Space Nine: "Apocalypse Rising"